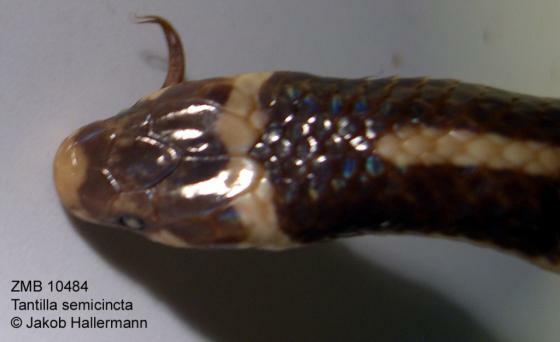 Can you confirm these amateur observations of Tantilla semicincta? Type locality: Colombia (fide PETERS & OREJAS-MIRANDA 1970), but see comments. Comment Distribution: Type-locality given by D&B as "Martinique," in error fide Wilson 1999. Not in Panama fide LOTZKAT (pers. comm., 23 Dec 2015). 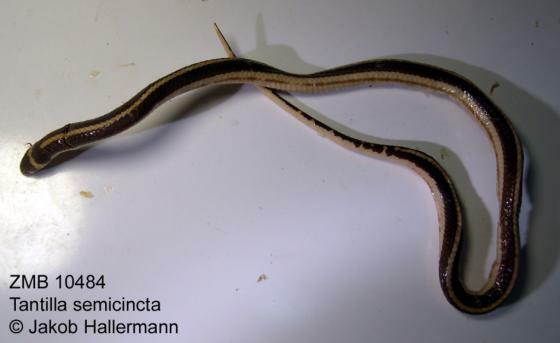 This species has both banded and striped phases (Wilson, 1976).